In the past, keeping up the masquerade and protecting humanity from the anomalous fell to the hands of the world governments. However, with the Great Depression weakening said governments and concentrating power in the hands of a few madmen, it became clear to a few that perhaps an independent agency would be best at it. Thirteen intelligent, well-connected individuals organized to consult and draw up plans for such an organization. They called themselves the Overseer Council. The Overseers designated The Administrator to be the public head of the Foundation and to handle its day-to-day operations, giving him the title O5-1. The Overseer council as a whole prefers to decide matters of organizational direction and worldwide importance, as well as the Foundation's interaction with governments and other GoIs. The Overseers began recruiting in 1945, just after the end of the European theater of World War 2. They originally drew from ex-military, academia, and intelligence ranks. However, the UN-sponsored GOC and the allure of the high-profit MC&D quickly overtook the Foundation in recruiting power. So they had to lower their expectations a bit. In 1949, the Foundation managed to acquire Site 19 and The Navigator, greatly enhancing their credibility and ability to locate and contain items. From there, they managed to get their hands on a few key objects and financial resources. Things took off from there. Mobile Task Force Psi-7 was formed in 1953 to serve as the front line of SCP retrieval after the previous MTF was lost inside a box of cereal. Most places wouldn't accept this motley crew headquartered in Site-19, but necessity breeds opportunity for many persons who would otherwise be cast aside in this day and age. In 1956, the Foundation appointed General Stanley Bowe as O5-13 and appointed him overall control of MTF operations. His theory was to create a task force using the Foundation's anomalous personnel and SCPs, to make them more effective in the field. One of the first SCPs recruited for this effort was Iris, a girl who could teleport using photographs. By recruiting these anomalous personnel for Omega-7 and importing his own thugs to the Foundation's security force, Bowe had consolidated a lot of power in his hands. Using intimidation tactics, he took over Site-19, sent the Administrator into hiding, and it seemed the Overseer Council had no choice but to follow his lead. Deciding to weaponize SCP objects to augment Omega-7, Bowe sends Psi-7 to recover SCP-106, a humanoid with properties that are extremely hazardous to human life. Although they suffer a fatality and several grievous wounds, Bowe is able to obtain an extremely powerful but unstable weapon. The fact that Bowe is now in control of such a dangerous being puts a lot of strain on Psi-7, and the Task Force neared a mutiny. During this time, General Bowe had decided that SCP-106 was unsuitable for field work, and began focusing on a Sumerian god supposedly frozen in the arctic. After unearthing Able, SCP-076, Bowe attempted to convince him to join Omega-7, only to be impaled and left for dead. Once reports of his death reached Psi-7 they and other Foundation forces loyal to the Overseers were able to retake Site-19. The remaining and surviving forces rallied around the remnants of Omega-7, and retreated to holdouts in Africa and Asia, waiting and rebuilding. While Bowe, alive with the help of technology, seemed to be their leader, he was mutated through the actions of SCP-105 and killed by Psi-7 agents. Since then, it appears that Iris has taken over the group's leadership reins. They are now known to the Foundation as he Chaos Insurgency. Although Insurgents have launched some provocative attacks on Outpost Marinara, the only serious incident involving the Insurgency since the Schism was the "Father Murphy" intelligence leak incident. Seeing a need to form alliances, the Foundation formed a relationship with the Global Occult Coalition, where the Coalition would provide protection and some stability. The Coalition was recognized as the world leader in anomalous research, as it had been formed years earlier, with organizations in 104 U.N member states pledging their membership to the organization. Starting out as a few training exercises, the Overseers negotiated a contract with the leaders of the GOC. In it, the two organizations agreed that their scientists and engineers would share their technology and work with each other, and that in the event that the Overseer Council was incapacitated, the GOC would step in to prevent any SCP objects from falling into the wrong hands. GOC ambassadors were installed at Site-19. Despite the small garrison, the GOC presence still managed to be bothersome. Nonetheless, it seemed like the Foundation was moving on despite the Bowe incident. The Administrator returned to work, although he seemed anxious and more nervous than he had been before. Strange incidents took place, with sightings of hooded figures within Site-19. Then, there was a dramatic attack on the Administrative complex of Site-19. Docents, creatures from the Wanderers Library with lanterns for hands, abducted The Administrator and burnt much of the area with fire magic. Psi-7 fought back but were powerless to stop it. Claiming they were acting in accordance with the contract the Overseers had agreed to, the Global Occult Coalition occupied Site-19. Many at the Site believed this was an attempt to annex another organization into their Coalition. In turn, the GOC were resentful that they had been forced to occupy this facility and wary of the distrustful Foundation agents. Despite this, the Foundation were able to begin investigating ways to find entrance into the Library, discovering a Way1 in a dimension made of socks. The Foundation was able to obtain components and technology blueprints from raids on Prometheus Lab facilities. Despite initial tests of their teleportation device going awry, they were able to create a device allowing them a one-way trip to the Library. Deciding to launch a rescue mission, they used a T-34 Tank to attack the Library from the entrance. Once inside, they made their way through either through fighting or careful cautious movement. They were pursued throughout by Docents, Pages, and other patrons of the Library, all of whom attempted to prevent their passage. They defeated a Sphinx, and found many horrors and old being lurking deeper in the Library. Many Psi-7 agents still beware the Black Dog. After fighting their way through, and defeating Romeo and Juliet, Psi-7 reached a center in the Library. Waiting for them was L.S, a Serpents Hand leader, who denounced the Administrator and told Psi-7 they couldn't save him, and that he had become a threat to the Library itself. L.S explained that the Administrator had been stealing books from the Library, and that the Administrator himself was not human and had transfigured himself into something horrific using stolen Library cards taken from Hand members he had killed. After defeating L.S, Psi-7 was enveloped by a darkly monstrous form of the Administrator, transformed into a spider-like entity with a shriveled, fetus-like central form wrapped in chains and suspended within the coat of many arms, which had grown infinite arms that seemed to form the pocket dimension he inhabited. After a massive battle in which everyone except Larry was critically injured, Psi-7 was able to use a Scranton explosive device to contain the godlike form of the Administrator, causing the Library itself to boot them all to the outside. The mission was considered a mixed success, as Foundation assets were recovered from the library, but the Administrator has been listed as MIA. With their victory over GRU-P as a result of a flawless retrieval and replacement mission of a suspected anomaly capable of mass destruction known as the Tzar's Key, Psi-7 has returned to normal active duty. Monitoring of the GRU-P is ongoing. The facility, originally a Prometheus Labs branch, was taken in 1959 and refitted for Foundation use following multiple raids on the compound. Now one of the largest containment and research facilities the Foundation has to offer, Site 15 offers a variety of benefits in terms of location, rapid response times, and the added factor of stealth while still on United States soil. The earliest archaeological records of Site-77 indicate that it was a religious or cultural gathering point for rural villages in Tuscany. Its specific purpose is not known, as any primary sources have been lost or destroyed over time. For many years, during the 18th and 19th centuries, it was used as a mine. Once the ore ran dry, it was abandoned and became severely run down. When the fascist regime came to power, it seized the land and built some fortifications there. Site-77 was designed by the Germans as a base during the war. It was extremely well fortified, and the military presence there was one of the largest in the region, primarily manned by Italian troops. In addition, large quantities of munitions and weapons were storied there. The Waffen SS disarmed the Italian units stationed in this area after Italy surrendered in 1943. During this time, Italian and German scientists were using the area for geological research, as well a small contingent of Nazi party representatives studying occultism. These researchers operated with only tepid support from their governments and begrudging tolerance of the soldiers stationed there. With the Allies advancing in 1944, the few remaining personnel retreated to the north. Once it fell into their hands, the Allies took little effort to fortify or reinforce the large based, but did use portions of it as a hospital as they continued to press towards the north. During this time, the Foundation acquired Site-77 for an unknown sum. In the waning days of the project, one of their agents, Shirley Gillespie, made the Foundation a deal. She’d funnel them large sums money in exchange for protection from American agents and a senior position. The Foundation was therefore able to refit their new facility with the newest technology and enhancements. Site-77 is the highest-volume containment site currently held by the Foundation, and it enables them to further their reach across the Atlantic ocean. Psi-7's original headquarters, Site 19, named that way for no particular reason, is located in rural upstate New York. It was originally a hidden weapons research facility run by the US Government. How it came into the hands of the Foundation is unclear, but the first several years of the organization's history were spent outfitting portions of the facility to meet the Foundation's needs (i.e. electricity and water, security measures). Each person on the site has their own room. Each room contains a bed, a desk, a bedside table, cabinets, and a poster reading "Mankind Must Not Go Back To Living In Fear". Each door has a simple locking mechanism. Every door is labeled with the persons name. All of the SCPs are contained here. A list can be found the next tab over. These are what would later be called Safe- or Euclid-class; the Foundation isn't yet willing or able to deal with Keters for the most part, and usually hands them over to the GOC. Most medical research carried out by the Foundation takes place here. Only anomalous injuries or those that would be considered suspicious are dealt with here; the hospital in town (about forty-five minutes) away by car is more well-equipped for most things, save emergencies. A group of offices and barracks near the center of the base house most of the security staff that aren't on patrol or guarding SCPs. A number of rooms in the south wing of the base house all of the Foundation's employees, save the O5 Council. 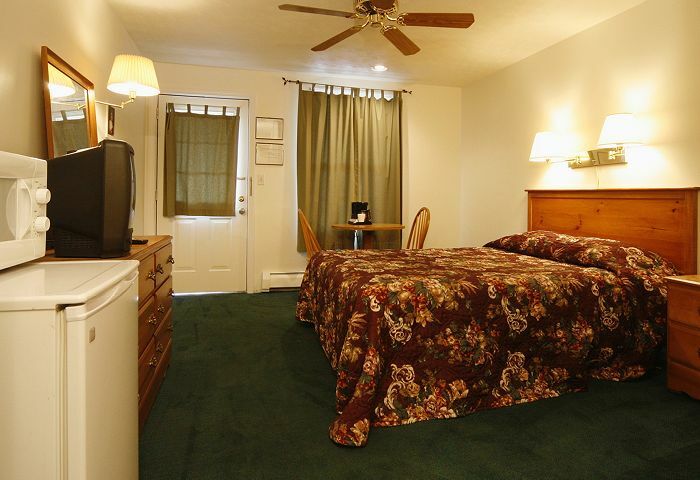 Quarters are adequately furnished and heated, but there is no air conditioning. About the size of a motel room (image used for size reference only). Full access to electricity and hot and cold water. Big enough for the entire Foundation to gather at mealtimes, the cafeteria is adjacent to the kitchen. The kitchen staff do their best with what they have, producing something somewhere between home cooking and military rations. Quantity is typically not an issue, even when quality is. Much of the facility's basement is devoted to storage of non-anomalous objects and supplies, such as documents, equipment, evidence, etc. The armory and pantry are located down here. There are several common rooms designated for different departments. Each will generally have a radio, some newspapers and magazines, and various couches, chairs, and tables. The one used by MTF Psi-7 has a pool table and a piano. Contains exercise equipment both modern and outdated, including those vibraty-rubber-belt things, barbells, punching bags, weights, and a boxing ring. Basically anything you'd expect from a half-decent gymnasium of the time period. There are some faded motivational paintings on the walls. A very basic, simple range, with five lanes and some basic targets. Kind of tucked away, and not really a very large part of the site. A bunch of reel-to-reel, lining the walls, UNIVAC-type computers. The Enigmagraphs can be found here, as well as a number of powerful computers and powerful computer accessories. It's pretty clear the Foundation has sunk a sizable chunk of their budget into this place, as it's on the bleeding edge and is absolutely state-of-the-art, especially compared to some other parts of the facility. Where the vehicle pool gets their automobiles repaired, as well as any other mechanical issue the site might be having. If there's a person who does maintenance work, or builds things with their hands, they'd be working in here. Has the tools you'd expect from a place that builds cars/computers/walls/anything else the Administrator might need. Also houses the garage for the motor pool. Site-19 is surrounded by miles of untouched state forest that have been mysteriously devoid of logging companies carrying permits. The Site-19 is reachable using winding, gravel service roads maintained by the New York State Conservation Department. These roads eventually lead to county and state highways. Site-19's immediate 100 acres of grounds are cordoned off by barb-wire fence marked with "danger keep out" and "Property of the US Army". This barrier is not terribly good at this point but it is patrolled and maintained by security. The grounds themselves alternate between northern broadleaf forest habitat and Foundation maintained "meadows" of open ground. Site-19 itself is within the innermost meadow, set against one of the mountains of the Catskills. Most of Site-19 is located within the mountain in a vast bunker complex. The reason for this design is two-fold. Site-19 is well-hidden and remote and unlikely to be broken into by conventional means. Site-19's surrounding environs will direct casual intruders along well-watched and well-understood routes, allowing for effective interdiction. The site has one medium sized-chapel which is shared between the site's Jewish, Protestant and Catholic chaplains. The rabbi gets the chapel on the Saturdays while Sunday evening is split between the minister and the priest. The rest of the time, they alternate their sermons and sacraments. The Arena is a three foot stone podium located in the center if a 100-foot-diameter half-sphere chamber in what was formerly Deep Storage Room B12. It acts as an interdimensional training grounds for Foundation agents, with many different baddies to fight. Mobile Task Forces (MTFs) are teams made up of specialized Foundation agents. They are the front line of the Foundation, and are the cavalry agents call in when things get too much for them to handle. MTF Psi-7 ("Home Improvement") - Mobile Task Force Psi-7 specializes in the undercover investigation, containment and recovery of anomalous objects. They are the Foundation's primary recovery task force and are a highly decorated combat force. It consists of a motley crew that has a very high turnover rate, but surprisingly high morale. MTF Alpha-1 ("Red Right Hand") - Mobile Task Force Alpha-1 is a task force that reports directly to the O5 Council and is used in situations that require the strictest operational security. Consisting of the Foundation's best and most loyal operatives, all additional information regarding MTF Alpha-1 is classified Level 5. MTF Theta-2 ("Shush! ")- Covert-elimination and recovery team, consisting of a few members that commonly operate on their own. Many Foundation agents are superstitious of joining Theta-2 due to the unlucky fate of other task forces with punctuated nicknames. MTF Gamma-5 ("Wombat Warfare")- Primary MTF in the Australian branch, based out of Queensland in Outpost Charming. MTF Eta-9 ("One Silent Night") - Counter-Thaumaturge force made to counteract Global Occult Coalition strengths. Operates in South America. MTF Upsilon-19 ("Coureurs-de-bois") - Naturalists and survivalists, this task force is dedicated to espionage and infiltration. Organized by Serge Maillard. MTF Epsilon-19 ("Thundercats") - Supported by the exceptional Lisabet Tande, this task force specializes in high-risk missions and have several electrician specialists to give the team an advantage during infiltration and offensive missions. MTF-Beta-11 ("Call in the Cavalry") - Serving as general backup and performing extraction operations for other mobile task forces when things go wrong, the membership in this group is constantly changing due to the extremely dangerous and stressful nature of their missions. MTF Beta-19 ("Fetch! ")- Primary foundation containment task force before Psi-7. Lost in a box of cereal. MTF Meta-19 ("Hello, Nurse!") - Task Force assigned to investigate the Hospital. All agents attached to the task force are confirmed KIA within the Hospital.